Pineapple & ginger pops - 4 ingredients, minutes to make ahead, only 2.5g carbs/serving! Dice pineapple and blend with 2-3 tablespoons of coconut cream, ginger and sweetener. Whip up the remaining coconut cream: I find it whips up easier if you add a tablepoon of tapioca starch at the beginning. Gently fold coconut whipped cream into pineapple mixture. 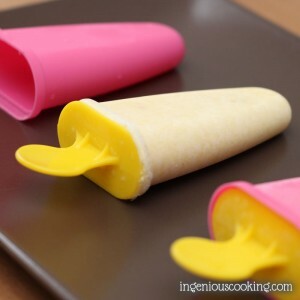 Pour into ice pop molds and freeze overnight. Enjoy!